After the Olympic flame of the Rio 2016 has started a long journey to the fifth largest nation of the world, it has been two months that it touched the Brasília. On Friday i.e., on 1st of July 2016, the Rio 2016 Olympic torch has reached its 60th day of the journey all around the Brazil and so it has celebrated the day. Since last 2 months, the torch has visited the 180 towns all over this largest country which travelled 17,000km (over 10,500 miles) by land, water and air, and the torch has been carried by over 7,000 torchbearers. All the people of Brazil have greeted this Rio 2016 ionic symbol of the Olympic movement with all their joy and warmth in which they have celebrated the movements all across the world. 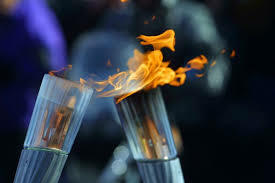 The Olympic torch has shown the light shine on the charming diversity of all the various cultures of the country.